Interviewing may seem nerve wracking, but below are some tips on how to alleviate the stress, and ace the interview. Research the history of the company that you are applying to. Dress to impress! Neutral colors along with a dark colored suit would be perfect. Stay positive. Don’t speak negatively about yourself or any previous companies or co-workers. When working with a Recruiter at C.R. 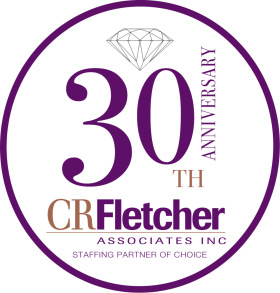 Fletcher, one of our strategies is to provide guidance on interview strategies. If you need additional advice, there are many sites you may find beneficial. LiveCareer.com offers insight into behavioral strategies for interviews. QuintCareers.comprovides a sampling of common interview questions. Practice common interview questions ahead of time so you are comfortable conversing with your interviewer. Practice will make the interview flow smoothly and it will give you a level of confidence when discussing your work history. Keep C.R. Fletcher in mind for your job search. Our tenured Recruiters will share their expertise and make you feel more comfortable with your interview process.